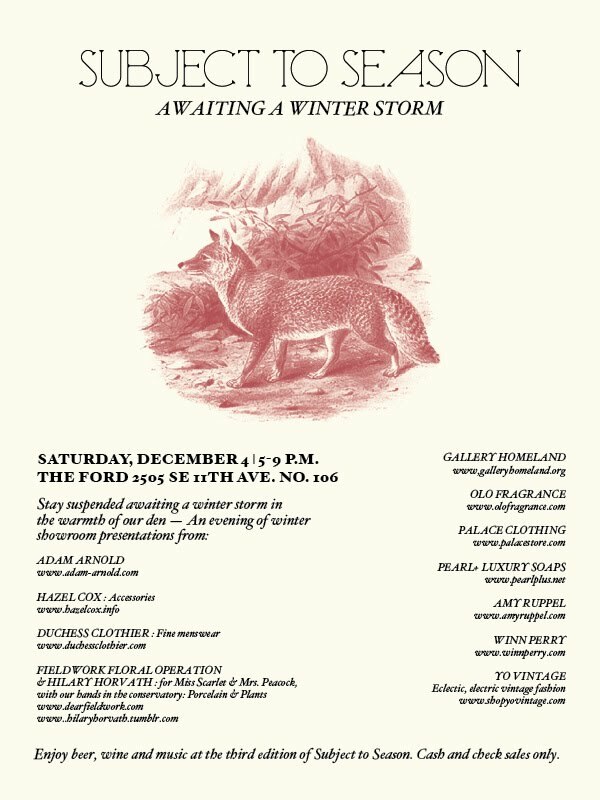 If you’re an Oregonian, come by and say hello tonight at the Subject to Season show in the historic Ford building in Portland. 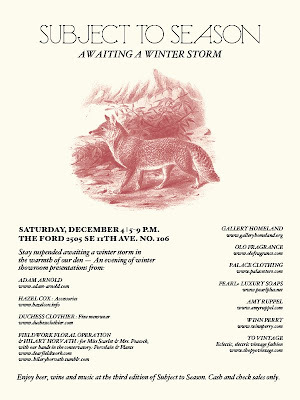 I/Lesli will be exhibiting A.C. goods alongside friend, collaborator and Portland stockist, Jordan Sayler of Winn Perry. Per the Portland Mercury: “come prepared to drink, schmooze, and peruse.” The show will be advanced prep for our trip to San Francisco next weekend for the DGC‘s holiday market pop up, Showmanship.